I once worked for a farm manager who thought cabbage was delicious and more people should eat more of it! I thought, cabbage?! 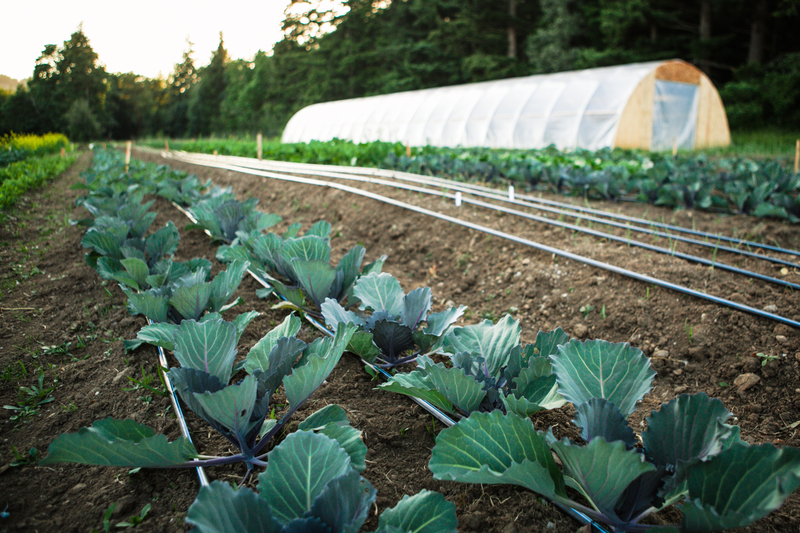 Look at all the amazingly delicious vegetables growing and you are most excited about cabbage?! Well, over that summer, I became a convert! I roasted cabbage, I made coleslaw, I made colcannon, I steamed it, I sauteed it and I ate cabbage nearly every day! It is sweet and crunchy and you can add so many different flavors to it! I will start harvesting cabbage tomorrow! Tonight, I harvested a few for myself (how can I sell produce that I have not sampled?!) I roasted 1/2 a pound of cabbage by cutting it into 1/2 inch strips and tossing it with melted butter before roasting in the oven at 425 degrees for about 10 minutes. Add a pinch of salt and you have a tasty side to any meal! I also made a quick coleslaw by shredding the cabbage (about 6 cups), adding some chives (since I did not want to harvest any of my green onions…I want them to grow into big onions!) and fresh parsley. I made a dressing with a tablespoon of Dijon mustard, 1/4 cup olive oil, a minced garlic clove, 2 tablespoons of red wine vinegar and a bit of salt and pepper! Super quick and easy! Cabbage is a great addition to your summer meals! If you are not currently a cabbage fan, give it a try! 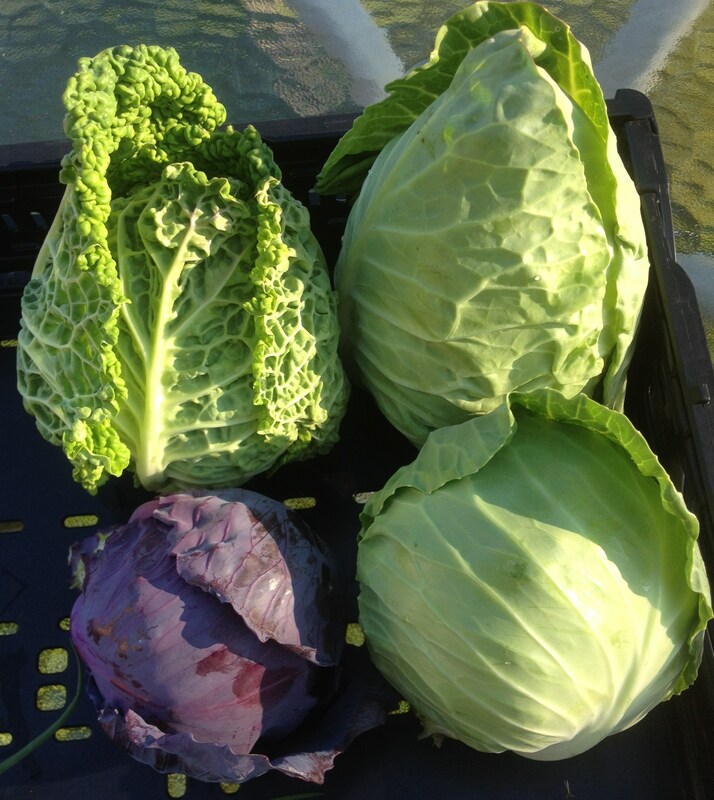 An early cabbage crop is a wonderful thing. Thank you for sharing the recipes. They might be good to present at the Culinary Arts meeting. I would love to learn how to make naturally fermented saurkraut. See you Friday at the Port Susan Farmers Market. Looks great! 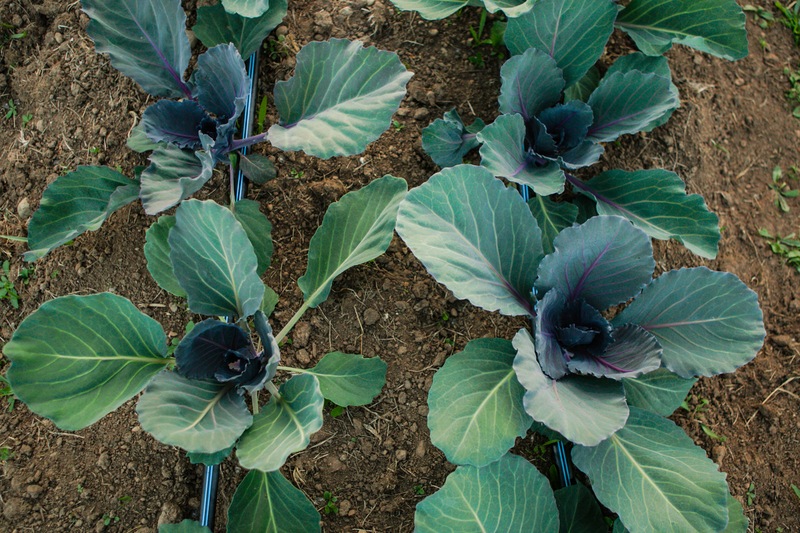 Our winter cabbage are just getting rolling….